Routine dental flossing eradicates plaque and helps prevent the accumulation of plaque, which results in tartar. The process itself can give your teeth a brighter appearance through the elimination of plaque, debris, and excess food bits that are not visible in the mirror or located in places that your toothbrush cannot reach. Dental flossing is essential for oral health and ultimately other aspects of your health too. Also, it helps to halt the process of tooth decay and can lessen the risk of gum diseases, caused by plaque. Flossing affords you the chance to examine your mouth for possible inflammation or soreness. You can also check your teeth, gum, and tongue. Some health issues such as HIV/AIDS, types of cancer, substance abuse and digestive diseases may cause inflammation of the gums and cause lesions in your mouth. Although periodontal conditions are not the primary reason for pulpal death, worse cases of unhealthy gums may cause teeth loss or require a root canal. Yes, brushing twice daily is necessary for proper oral health, but it may not be able to shield you from resulting tooth loss and gum disease. People who deal with bleeding or sensitive gums may want to avoid flossing because they think it will worsen their bleeding gums. The reverse is valid because flossing will boost your gum’s health and prevent possible bleeding. Flossing daily, together with brushing and rinsing, will help lessen the risk of gingivitis through the removal of food particles and plaque. The buildup of plaque in your teeth is unhealthy for your gums. Gingivitis is the beginning of gum disease, but it can be treated. Flossing is also helpful for a pleasant smile. The presence of plaque between your teeth inhibits the beauty of your smile and inevitably lessens how often you smile. What About Flossing After Eating? It may be impossible to brush your teeth in the middle of the day. However, you can floss anytime. Healthy snacks are good for your body, but they potentially stick between the teeth. Snacks are mostly high in sugar, and the debris may cause tooth decay with bacteria accumulation. Flossing will clean out the debris and make your mouth cleaner and fresher. Regardless of your diet course, you can keep your mouth and teeth healthy through regular oral care. What if I Have a Dental Condition? Many people avoid flossing for this reason. Flossing can be painful if you have a dental condition. However, using the right flossing product can make the process straightforward and painless. 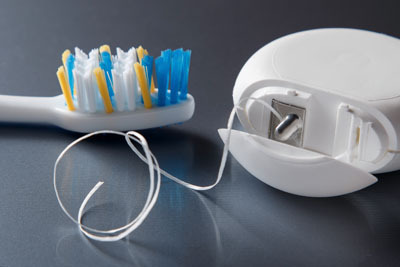 When choosing a dental floss product, you need to consider your condition before selecting the best fit. If you have sensitive gums or teeth, get a soft floss. If you wear braces or dentures, you can still floss. Buy specialized floss with a rigid end that can go under the brace wires and a squishy component that moves quickly between the teeth. If you have kids, you can teach them the importance of flossing from an early age. If they complain that the process is complicated, you can buy an electric flosser. It works well and gives the gum a pleasant feeling. Request a dental appointment here: https://www.emersondental.com or call Emerson Dental Associates at (201) 620-9998 for an appointment in our Emerson dental office.